Thanks to Title IX, the opportunities available for female athletes in 2016 are undeniably more prevalent than ever. Young women have the chance to participate on athletic teams and even pursue athletic careers, making female involvement in sports a more common occurrence. Although these considerable advancements undeniably help future female athletes, there are fewer opportunities for women over 40 to step away from the sidelines. Add this to the potential age bias women may face when joining younger athletic teams, and the chances to play ball seem pretty slim. 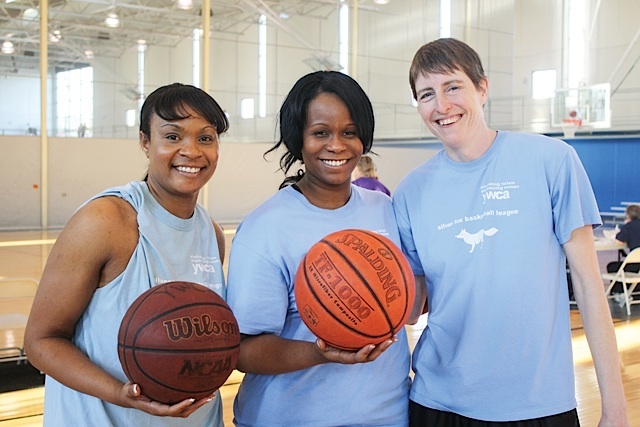 But through the Silver Fox Basketball League at the Minneapolis YWCA, women over 40 have the opportunity to get out of the bleachers and into center court. The Silver Fox League was formed in 2005 in order to give women over 40 the opportunity to play basketball. 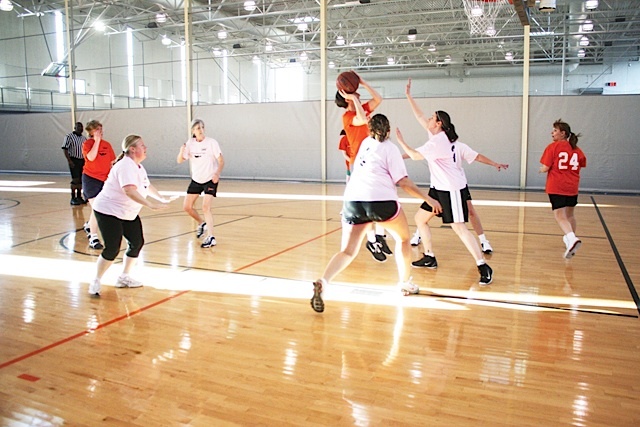 Organized by the YWCA of Minneapolis, the league holds weekly games during their season at the Midtown YMCA/Minneapolis Sports Center. Though the games can get pretty competitive, the league provides a welcoming atmosphere for women to bond through their love of basketball. Catherine Gray (fondly known by her teammates as Coky) is one player who has found extreme joy and community through the Silver Fox League. A loyal participant since 2005, Coky discovered the league when she was approaching 50 years old. Joining a team allowed Coky to continue her love of sports, which started at a very young age. As a current member of the Sole Sisters, Coky’s time on the court is a nice respite from a busy life: “For me, this league is all about fitness and fun,” she adds. The benefits of continuing physical activity beyond age 40 are numerous, but on added benefit for Coky is that she is able to build a community around such a fun activity: “It’s fulfilling for us who play and participate because it connects us with people who we otherwise wouldn’t meet.” Indeed, the league provides an opportunity for women to bond through physical activity, which Coky notes is often structured as a solo activity with limited interaction. For Coky, the most important benefit she experiences from the league is that it’s just plain fun. She explains, “People might first think of fitness, but I’m going to go with fun. Everyone I know works really hard in their lives, but this is just super fun.” The Silver Foxes may play as hard as they work, but the real joy lies in their love for the game, a love that will keep Coky on the court for many years to come. Coky encourages any interested women to join in on the fun by contacting her at Catherine@ohmyfilms.com or league coordinator Tanysha Scott at tscott@ywcampls.org.